Happy New Year! I hope these first twelve (or thirteen depending where in the world you are) days have been great for you. So, first things first- what happened to the posts about vinyl? I’m currently between turntables. That is, the record player I’ve been using isn’t the best (at all) so I’ve finally scrounged up enough coin to get a better one. It should be coming in the mail soonish, and when it does, the vinyl blogs will roll once again! I’ve got quite a few records I’d like to write about, too, including some Blue Note albums I picked up the other day. My time has come. Almost. Stay tuned. 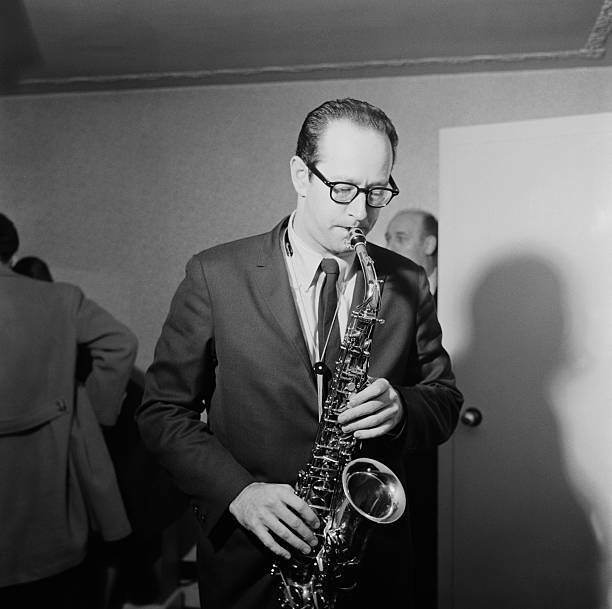 Speaking of time, it’s time for a non-festive installment of ‘Desmond’s Quotes’, and to better display saxophonist Paul Desmond’s musical and mental prowess, I’m altering the format a bit, where now I’ll be highlighting at least two different tunes with the same quote. New year, new format! On to the music! You could tell a lot about Desmond based on the tunes he quoted and referenced. For instance, the numerous quotes of Gerry Mulligan songs that appear in Desmond’s solos indicate Desmond’s fondness for both Mulligan and his tunes. A quote from Desmond could also have a hidden message. Sometimes, it was a mix of both, which seems to be the case for the tune “Time After Time”. The tune appears in many of Desmond’s solos, and Desmond finally recorded it officially on his 1959 album ‘First Place Again’. Here are two examples of how Desmond slyly and brilliantly used it in his solos. The first instance comes from the bandstand of Basin Street, a jazz club in New York City. It’s February, 1956, and the Dave Brubeck Quartet is in the midst of making a radio broadcast for NBC’s ‘Monitor’ show. The quartet just finished a tune and radio host Fred Collins informs “David” Brubeck that “there’s only about three minutes to have something happen here”, and asks what Brubeck would like to do to fill the time and close the broadcast. Brubeck calls for “The Trolley Song”, tells Desmond “pick-up”, and off they go. “The Trolley Song” was something of a feature for Desmond; He was the only one that soloed on it, and despite only being about three minutes or so in length, the arrangement amply displayed his talents. Starting off with Desmond playing the verse and Brubeck supporting him, Joe Dodge’s drums make a grand entrance. Imitating the clanging of a San Francisco trolley, Dodge’s drums lay the beat for Desmond to take off. And he does. It’s during the second half of the first verse that he slips in the melody of “Time After Time”, using it as a springboard for his next few phrases before continuing on with his business. It’s easy to imagine that the announcer’s watchful eye on the clock coupled with Brubeck’s comment about timing led to Desmond’s witty and relevant quote. First, here’s the tune “Time After Time”, sung by Chet Baker. Got that melody down? Cool. 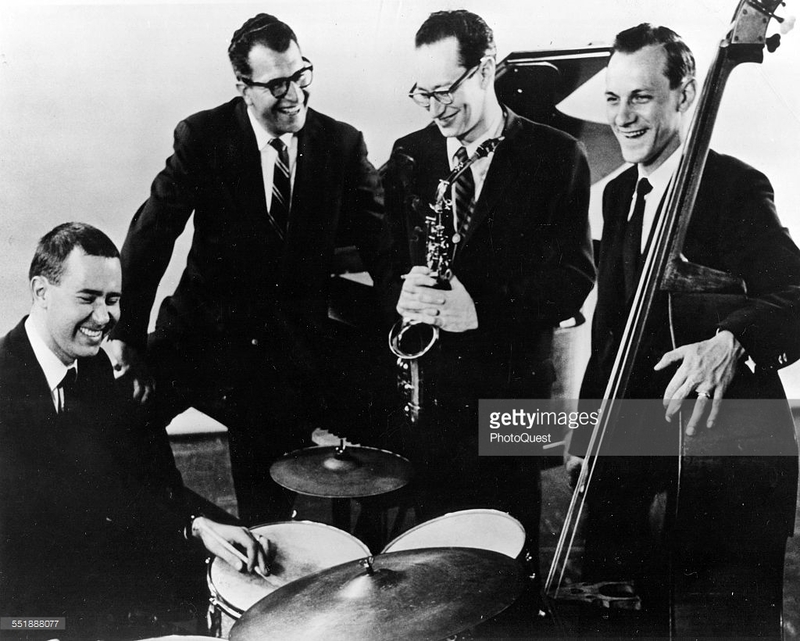 Here’s Desmond with the Brubeck Quartet. Try and find it! Did you catch it? Here’s the timings: Desmond slips the tune in at the 1:17-mark on “The Trolley Song” and at the 2:08-mark on “One Moment Worth Years”.